That’s cool… is that a flat metal cutout? or what? Are they a council initiative, guerilla art? Hi Chris, you are right it is a flat metal cutout, suspect it is art along the lines of graffiti sculptured out of metal. 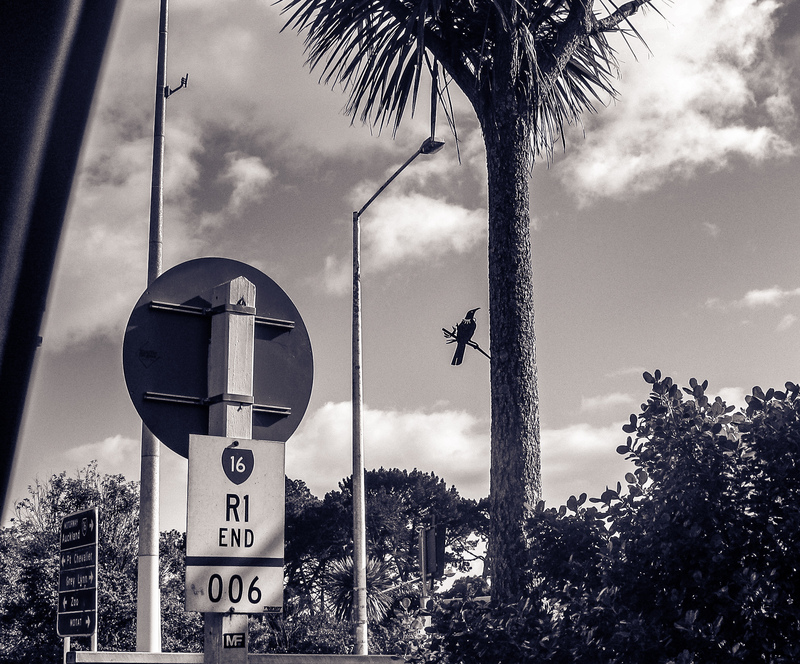 This one is near the Auckland Zoo and my daughter has spotted the same art Tui a couple of kilometers away in Westmere.